Love road trip games? Now you can play them anywhere you go. 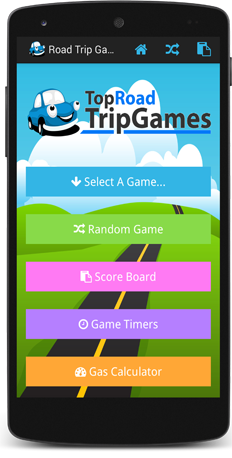 Play 11 different awesome games, keep track of your score with a scoreboard in addition to recorded player profiles, add a little more excitement to an already fun game using the easy game timers or use the simple gas trip calculator to find a quick estimate of how much your trip will cost in gas.